The weekend was a bit chilly for my first time back to Kitsilano Farmers Market, but that didn’t stop the community from coming out to support our local growers and makers – and bakers and artists and all sorts of fabulous people! For artisan vendors, the first hour is usually pretty slow as shoppers are mostly focused on nabbing the best picks of produce and baking. My favorite baker usually sells out of several types of bread, so I totally understand wanting to get dibs early. Nutella brioche? Yes, please! I’m happy to report that my display held up pretty well despite the windy day. There were a couple of big gusts that tipped over my little necklace displays, but that was pretty minor and easily solved with a market vendor’s best friend – scotch tape. 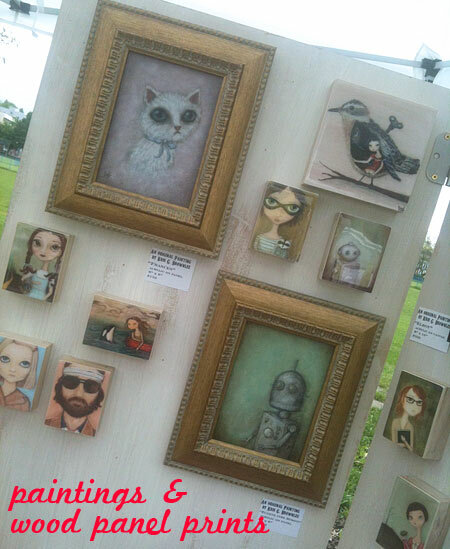 My original paintings and wood blocks stayed solidly put the whole time. And by “whole time”, I mean the 4 hours the market takes place. 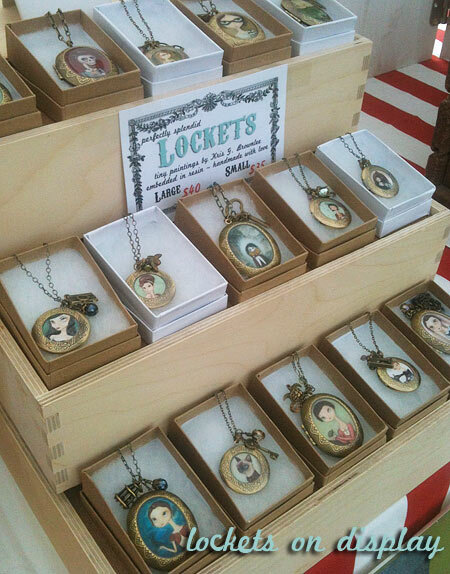 That’s one of the things I love about the summer markets! Aside from the fact that I’d be shopping the Vancouver farmers markets anyway, I get to be outside in the sun (usually), meet lots of lovely people, pet lots of friendly dogs, sell a few things & then be packed up by 2:30pm with the rest of the afternoon free. Not a bad way to spend your Sunday! 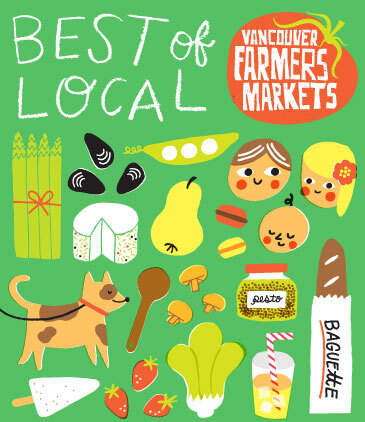 If you live near Kitsilano, check out the farmers market next Sunday! 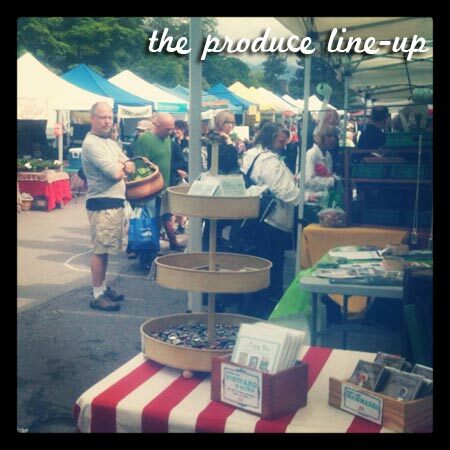 Or visit the Vancouver Farmers Market website for other market locations.